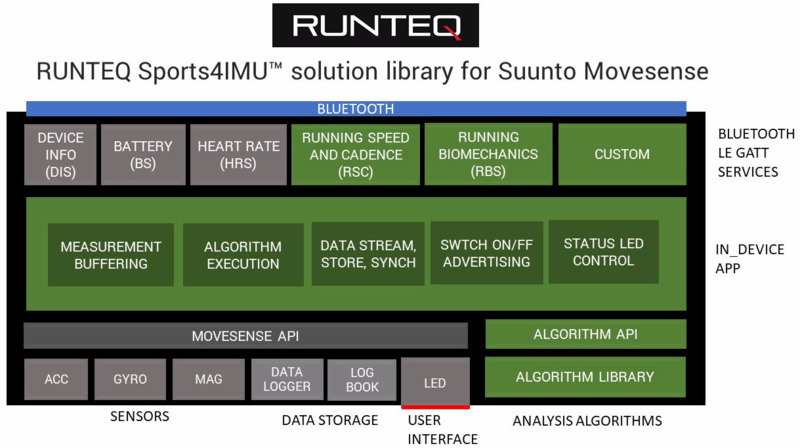 RUNTEQ, the Finnish pioneer in the next generation fitness technology solutions, today announced a new motion analysis software solution for the Suunto Movesense wearable platform. CUSTOM PROJECTS. 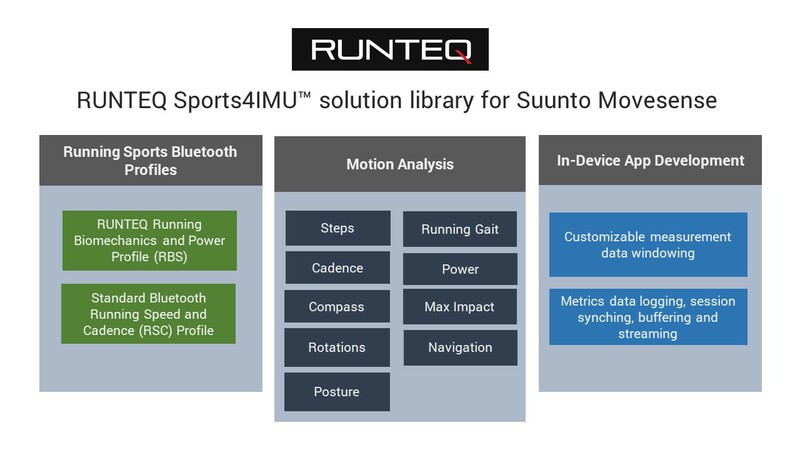 RUNTEQ is one of the first adopters of Suunto Movesense platform and it has already built several product solutions and application-specific algorithms with its customers. You do not need to start from the scratch or re-invent the wheel. We can provide you with the best solution at reasonable price. TURNKEY SPORTS WEARABLE SOFTWARE. This is the fastest way to productize your Movesense product. License the basic sports features. Available: HRM (Heart Rate Monitor), RSC (Running Speed and Cadence), BMS (Runteq Running Biomechanics). IN-DEVICE APP FRAMEWORK. Currently a licenseable part of Runteq customer projects. Price negotiated case per case. Starting fee + affordable yearly fee. MOTION ANALYSIS LIBRARY. Motion Analysis Library is under development. API definitions are under development. Available later in 2019. Leave your contact information. We will be in touch soon. 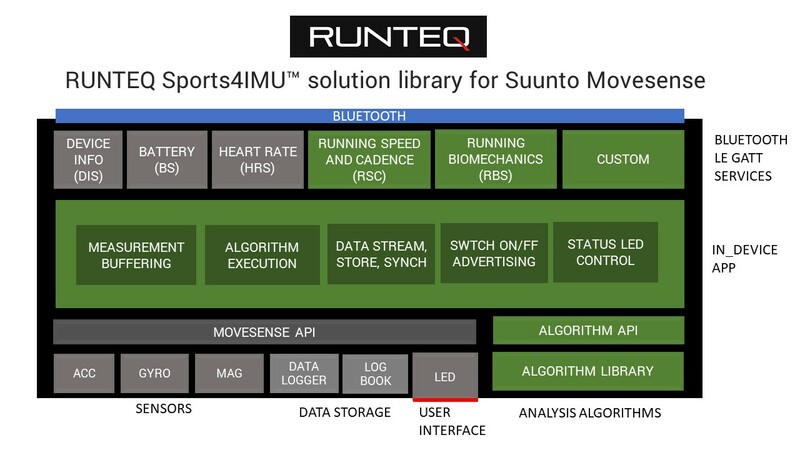 Runteq’s software library, Sports4IMU, includes key software elements to implement a commercial wearable product for personal and team running sports. The software already powers Runteq’s own Zoi running technique analysis device and Movesense-based RUNTEQ smart running sensor. The solution package takes full advantage of the Movesense’s inertial sensors and provides comprehensive package of functionalities that are essential for building a commercial product based on Suunto Movesense. The library will be available through various licensing models, including OEM product and software installation models. The software is intended for brand manufacturers and wearable application developers. “With this package we primarily want to lower non-recurring development expenses of new innovations in sports performance analysis and speed up their time-to-market”, says Tommi Ojala, CEO and Founder of Runteq. “Runteq adds an important and useful element to Movesense platform and strengthens Movesense’s position as a leading sports performance analysis platform”, describes Terho Lahtinen, Senior Manager, future concepts at Suunto. Movesense is an open development environment for motion-sensing solutions. Developed in Finland by Suunto, its easy and innovative tools accelerate measuring and sensing applications across sports, agriculture, manufacturing, health care, and more. Learn more at www.movesense.com. Suunto is a Finnish manufacturer of world renowned sports watches, dive computers and precision instruments for the toughest conditions. Find out more about the company and its products at www.suunto.com.